Saturday and Sunday showings by appointment only with broker. Call today to speak to one of our expert brokers! 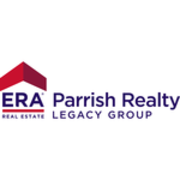 Rate and review ERA Parrish Realty Legacy Group in Zebulon, NC, United States! Share your experiences at ERA Parrish Realty Legacy Group with your friends or discover more Real Estate and Apartments in Zebulon, NC, United States.